The professional’s source for quality custom floating shelves. Free shipping, made in the USA to any size. 12 kinds of wood. 10 working day production lead time. Furniture quality finish is low sheen clear catalyzed lacquer. Installation hardware included. All floating shelves made to order. 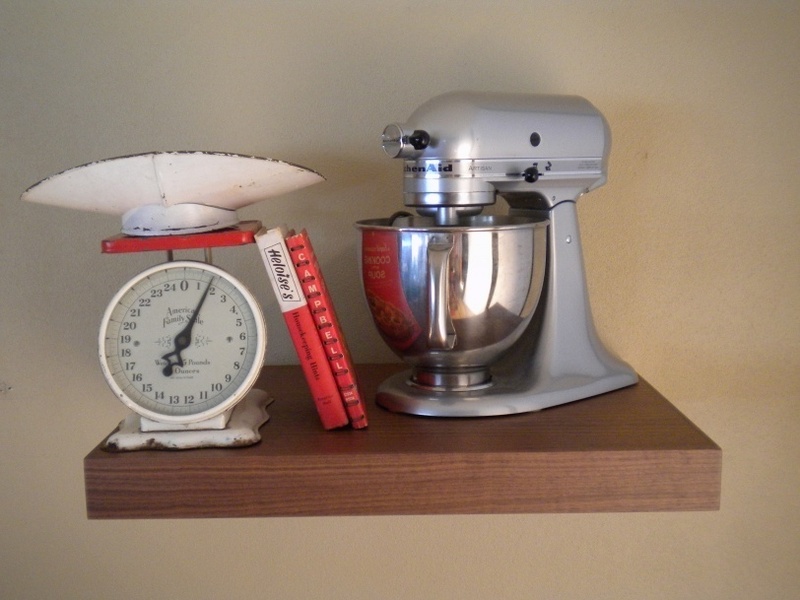 (minimum size is 3″ X 9″, maximum is 16″X 93″) All shelves are 1-3/4” thick. Our floating shelf design combines beauty and strength, when installed properly will easily support heavy stacks of dishes or books with no visible bracket. Please watch the installation guide video to learn more. All shelves include a very strong welded steel installation bracket and FREE SHIPPING (within the contiguous US).